U.S. household debt has reached shocking numbers at a combined $12.84 trillion. A quarter of those with high amounts of debt currently has no plan in place to tackle that debt. The first important step to handling debt is to create a payoff plan. These are a few of the available options. Many people attempt to avoid their debt in hopes that it will eventually go away. Unfortunately, debt does not go away and it will only continue to get worse. Before you can establish a debt payoff plan that works for you, it is important to understand what your individual debt looks like. Create a spreadsheet that includes who the debt is owed to, the amount owed, the interest rate, the minimum amount due, and the due date. Be sure to also include any late payments or outstanding payments owed. Now that you have an idea of what your debt looks like, you can evaluate the different repayment options available to you. Some people prefer to tackle the smaller debt amounts first. Working extra hours and cutting costs to pay down debt can get overwhelming and make it difficult to see the results of your hard work. When you tackle smaller debt amounts first, you see results much quicker. You can also free up those minimum monthly payments to apply to larger loans down the road. However, it is important to note that you could end up paying more interest with this method. Higher loan amounts often have higher interest rates. If you continue to make the minimum monthly payment on the larger loans, you are going to pay more interest in the long run. Larger loans are not necessarily the ones that you owe the most money on, but the ones with the highest interest rate. These are the loans that are costing you the most each month. They are also the loans on which you will pay the most interest over the life of the loan. Although it might take longer to notice any real progress on these loan payoffs, they will often save you the most money in the long run. Once you do pay them off, you will have a much larger chunk of cash to put toward other debts. If your debt spreadsheet resulted in an overwhelming number of debt payments, it might be a good idea to refinance your debt. Refinancing your loans can combine them into a single monthly payment that is more affordable. This is a good option for paying off debt when you have multiple loans with high interest rates. Refinancing can also secure you a single interest rate, saving you a significant amount of money over the life of each of the loans. 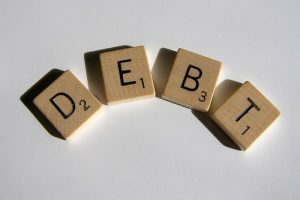 A crucial step to handling debt is becoming aware of it. Understand your debts and how much they are costing you and then choose the repayment plan that works best for your financial situation.